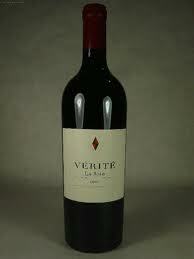 California’s Vérité Bordeaux blend has been awarded a perfect Parker score for two consecutive vintages. The wine, made by Frenchman Pierre Seillan, comes from Alexander Valley in Sonoma County and is the only label from this AVA to achieve the full 100 points. The 2007 vintage of the Vérité blend, called La Joie, received a perfect score last year, while this month it was Le Desir which gained 100 points. La Joie is a more Medoc-like blend, dominated by Cabernet Sauvignon, while Le Desir is closer to St Emilion in style, with more Cabernet Franc and Merlot.